What’s The Ultimate Summer Song? It’s shaping up to be the hottest summer in years, so what better time to ask a load of musicians to name the sunniest tunes known to man? To kick things off, here’s a selection of artists on their own personal feelgood hits of the summer. 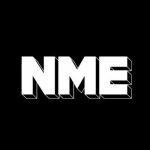 Below, NME writers make their own picks. Meanwhile, you can listen to most of the tracks in the artist playlist via the We7 widget below. But which songs make you think of summer? Emily Mackay: Mint Royale featuring Lauren Laverne, ‘Don’t Falter’. You may mock, but the reason this song is riveted to summer in my mind is that, during the hot summer of 2002, I set an alarm function on my stereo so that it would wake me up every morning for about three months. The reason was that I was sitting my finals and was so wired with fear that I wanted the first thing I heard every day to be the most wide-eyed, lovable, positive and innocuous song possible. Hearing it now triggers a combined rush of sunshine and dread. Jamie Fullerton: Grandaddy, ‘Nature Anthem’. Because it’s a daisy-draped singalong from one of the most underrated bands of all time, barely tainted by the fact that it soundtracked an advert for ruddy Coke. Luke Lewis: Loads of sun-drenched songs spring to mind – Memory Tapes’ ‘Bicycle’, Dinosaur Jr’s ‘Take A Run At The Sun’, The Sundays’ ‘Summertime’ – but for me the most summery song of all is The Beach Boys, ‘I Can Hear Music’. It doesn’t even mention summer, but there’s something about the vocal harmonies that’s like liquid sunshine pouring into your ears. Tim Chester: Sunny Glastonbury gave us a load of summer songs to kick start the season – Beach House’s ‘Norway’ and The Temper Trap’s ‘Sweet Disposition’ are two of the most notable – while last year’s half hour of sun reminded me how good Crosby, Stills and Nash sound in the blazing heat. More recently, Delorean and Memory Tapes are pretty good park fodder. Marc McLaren: New Order, ‘Regret’. My best summer ever? Italy, 1993. The seemingly endless months between sixth form and uni, five weeks of which were spent drinking, swimming and chatting up gorgeous Italian girls. ‘Regret’ and its parent album ‘Republic’ formed the soundtrack to those (mostly) failed attempts. Paul Stokes: Vampire Weekend, ‘A-Punk’. Not only does this song evoke brilliant blue skies and blazing sun in my mind, but with it’s ‘hey, hey, hey’ refrain it somehow manages to conjure up the carefree spirit of lazing in the sunshine. And it even manages to do that in depths of winter. Alan Woodhouse: The Lotus Eaters, ‘The First Picture Of You’. Reminds me of my childhood, when you actually got to experience a summer, as opposed to working all the way through. The lyrics and the sound sum up perfectly the dreamlike quality of being youthful and out in nice weather. I still love it, 27 years after I first heard it. Nathaniel Cramp: ‘Catch The Breeze’ by Slowdive. The aural equivalent of a dandelion pod floating past and then exploding. But without the need for Clarityn.